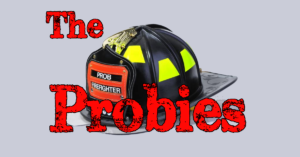 Do you remember what it was like to be a probie? 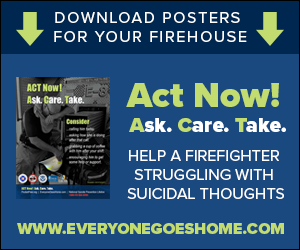 Most firefighters do, if only to recall the relief they felt when that first year was over. Photo by Prescott Fire Dept. 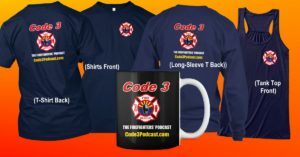 On this edition of Code 3, we talk with two probies. Samantha Vargas is just weeks into her career with the Prescott Fire Department; Kayleen Weiland is eight months along with the Central Arizona Fire & Medical Authority. Both are in departments with few other women serving. But they don’t seem to worry about that. They feel like a part of the team. 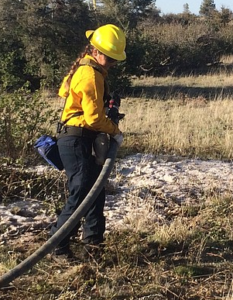 On the right, Vargas mops-up a small wildland fire caused by a bird nesting on a power line, April 22, 2017. Previous Post: Code 3 Poll: Should firefighters carry guns on duty?